Some are perched heart-stoppingly high on a cliff while some are draped into the surrounding ocean. 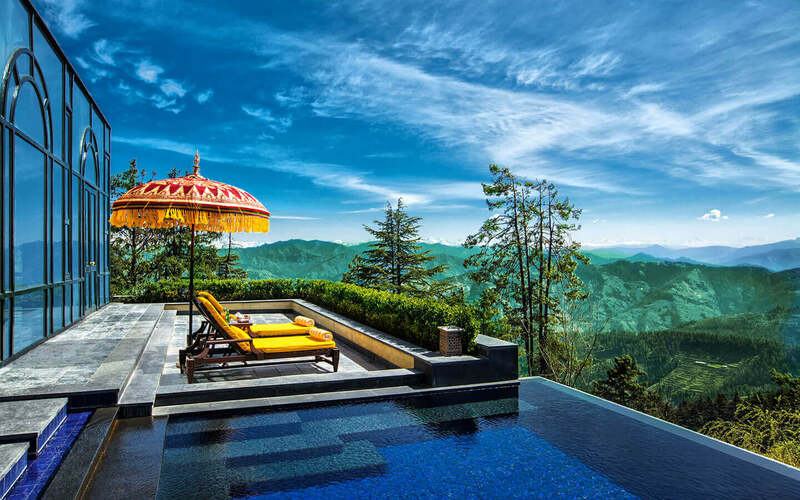 These Infinity pools in India are the sparkling, turquoise gems of many hotels and resorts set against some of the most spectacular and dramatic views. All these infinity pools at hotels across India combine picturesque views with ultimate relaxation and will offer you an unforgettable swimming experience. The breathtaking landscape only intensifies the beauty here. Have a bite by the infinity pool. This is what total relaxation looks like. Sit on those floating lounge chairs all day. Romantic dinner away from the city madness? 7. The Leela, New Delhi. Clean, simple, and sleek - just the way it should be. The edges of these pools seem to just drop off into space, threatening to whisk swimmers off a cliff, into the sea or over the edge of a skyscraper. These scenic infinity pools will have you daydreaming and stay in the pool forever. 1. I first time I ever saw an infinity pool was on my favorite show Modern Family. The entire family had gone to Hawaii and were celebrating one of the family member's birthday there. I wanted to gift my husband a similar vacation, but considering Hawaii is so expensive, I've not been able to plan anything. Thanks for this list, now I can pamper him with brilliant views and luxurious infinity pools in India. It depends on where exactly you are planning to visit. I have been to 4 pools mentioned in the list but let me tell you all infinity pools in India are breathtaking. If you live in North India, I suggest going to Wildflower Oberoi Hotel in Shimla. The view and the pool are magnificent. Its atop a mountain and very secluded giving you the privacy to cuddle up. If you live in south India, then again you have ample options in Kochi, Kerala, etc. This list mentioning the top infinity pools in India is missing one gem of a place, the Vineyards at Nashik. This place is truly one of its kind with delightful country feel and charm to it. You can enjoy a full day at the vineyard, make your own wine and then at night enjoy the exquisite wine at the infinity pool overseeing the gardens full of palm trees.